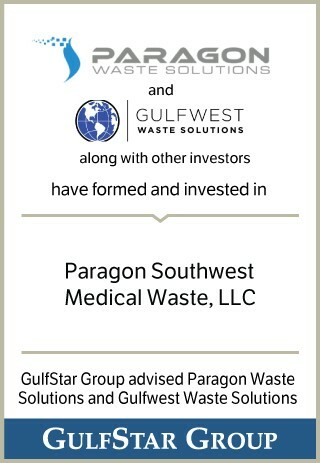 Paragon Southwest Medical Waste, LLC (PSMW) was formed through a joint venture agreement between Paragon Waste Solutions, LLC (PWS) and Gulfwest Waste Solutions, LLC (GWS) combined with an equity investment from an investment group. PSMW's permitted medical waste facility in Texas uses Paragon’s patented CoronaLux™ system. This system employs a low-energy, plasma-enhanced pyrolytic process to safely and reliably destroy hazardous, chemical, biological, pharmaceutical and regulated medical waste. The CoronaLux™ system eliminates harmful emissions associated with high-temperature thermal processes such as incineration and conventional hot plasma incineration. The result is a more efficient and sustainable destruction process, which is much cleaner, safer and environmentally friendly.